Members of the Cameron County Commissioners Court during a recent meeting. On Wednesday, the court distanced itself for the case involving $1.2 million worth of stolen fajitas. The Cameron County Commissioners Court has released a statement regarding a former county employee accused of stealing $1.2 million worth of fajitas during the past nine years. In the statement, the commissioners court says it has no oversight of the operations of the Juvenile Justice Department, which is where the former county employee worked. “We wanted to make sure that it was clear that the commissioners court, the county commissioners court, does not have oversight over the Juvenile Probation Department, and we also wanted to make clear that the auditor’s office also, we have nothing to do with regards to the hiring or evaluating of the auditor’s office and oversight there. That is an independent office, and he or she is hired by the board of judges,” County Judge Eddie Treviño Jr. said Wednesday. Gilbert Escamilla, a former employee of the county’s Juvenile Justice Department, was arrested on theft charges on allegations he stole the fajitas. Escamilla was fired Aug. 8 and first arrested Aug. 9 after the Cameron County District Attorney’s Office Special Investigations Unit obtained a search warrant. When officers searched Escamilla’s house, they found packets of fajitas in his refrigerator. 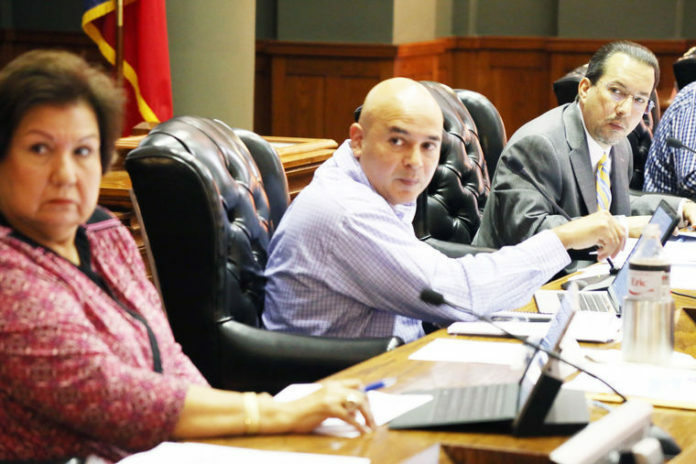 Treviño said other than providing funding to the department, the Cameron County Commissioners Court has no oversight for this department’s operations. According to the commissioners court, the Juvenile Justice Department is overseen by the Juvenile Board of Judges, which is comprised of the district judges. The Juvenile Board of Judges oversees the staff and its annual budget. The county’s audit department is charged with auditing the Juvenile Justice Department.